Safety Banners for the Christmas Holiday Season. 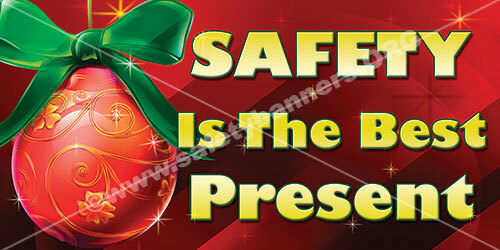 Our Safety Banners for the Christmas Holiday Season are used by most of the Fortune 500 companies! 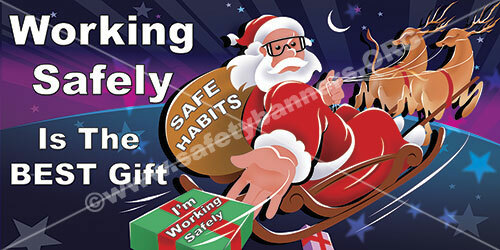 Working Safely is the BEST Christmas and Holiday Season Present. Show it with safety banners. Christmas Holiday safety banners encourage all workers and employees to work safely during a special time of year. any injury is tragic, but injuries during the Christmas Holiday season make a joyous and happy time less so. Christmas and holiday season safety banners from SafetyBanners.Org can be stored during the off season and thus will last for years or even decades. 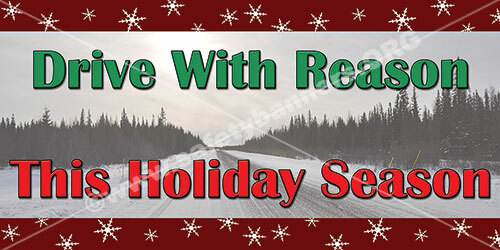 Looking for a unique or specialcompany specific Christmas Holiday Safety Banner? Just call us at 901-759-0932 and ask for Cyndi. For a small design fee she will design a Christmas banner that will knock you proverbial Christmas socks off.